When it comes to our bedrooms, we all want what’s best. After all, our bedrooms are our enclaves, our sanctuaries. At the end of a long and tiring day, most of us want nothing more than to relax and lounge in our bedrooms and have a good night’s sleep. That being said, one of the most important elements your bedroom can have that facilitates relaxation and comfort is the lighting. 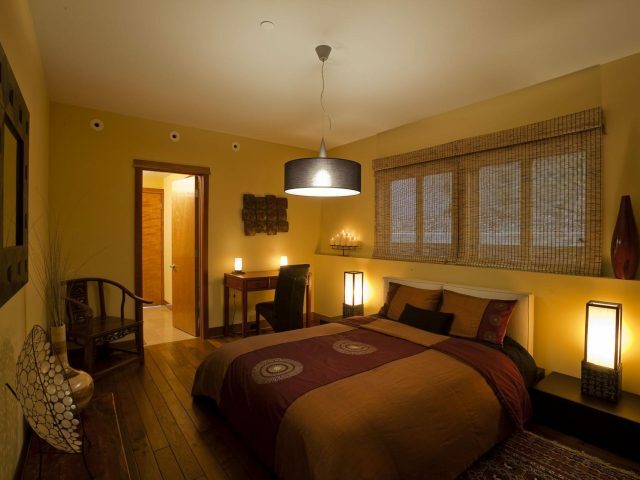 With the right lighting, your bedroom can indeed be the haven of comfort that you’ve always dreamed about. Here, then, is your top guide to planning the lighting for your bedroom. The first step to planning the lighting for your bedroom is thinking about what you need. On the heels of this is thinking about what you want. Do you want your bedroom to be a practical and efficient space? Then you might benefit from some bright overhead lighting. Do you want your bedroom to be comfortable and cosy? Then some lighting for the bedside, such as lamps, may be a good choice. Consider different kinds of lighting. To accentuate a certain spot or space, use accent lighting from spot lights or pendant lights and sconces. Overhead lighting can be a bit harsh, so you may also want to consider a dimmer switch. You also need to think about the purpose and function of the lighting fixtures and where they will be placed. The size of the space needs to fit with the size of the fixture. For instance, if you are planning to have a floor lamp, make sure there is ample space for it. There is also the more practical consideration of electrical outlets. Does the bedroom have enough outlets, and are these outlets conveniently located? If you have to use extension cords for lamps and fixtures, you may want to rethink their placement. Another factor to take into consideration is the amount of light you want in your bedroom. A bedroom is a place where we lounge around, read, watch television, and so on. In this regard, you would want layers of lighting which can be focused on different areas as well as light up the whole space. Wall lighting can be a great and useful addition to any bedroom, as they serve to illuminate and highlight special areas and add another layer of lighting to your room. Nowadays, you have more choices when it comes to lighting fixtures. If you want your bedroom to have a more vintage feel, industrial lighting fixtures work best. Traditional and classic lamp designs, combined with vintage lighting fixtures, can make your bedroom look more unique. But at the end of the day, it’s all up to you – as long as your bedroom has the right combination of practicality, comfort, and personality, you’re set.